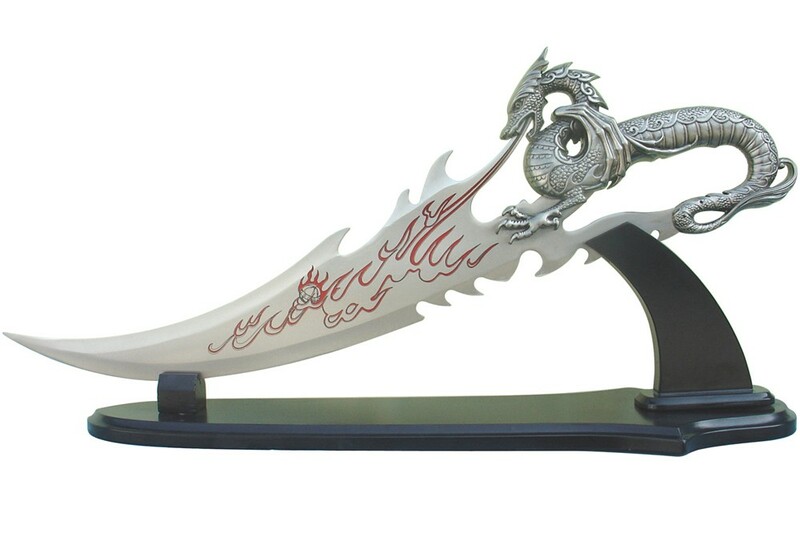 Fantasy dagger with dragon motives on the grip. The blade is made of stainless steel. Delivery includes a black colored wooden stand.